Backing up two Texas religious universities, Attorney General Ken Paxton filed a brief with the U.S. Supreme Court Monday asking it to take up a lawsuit against the federal government over contraceptive coverage required under the Affordable Care Act. Female employees of religious nonprofits should not be given insurance coverage for birth control if their employers object to certain contraceptives on religious grounds, according to a brief filed at the U.S. Supreme Court by Texas Attorney General Ken Paxton. Paxton’s “friend of the court” brief was filed Monday in support of a lawsuit brought by East Texas Baptist University and Houston Baptist University against the federal government over a provision of the Affordable Care Act requiring some employers to offer health plans that include contraceptive coverage. The Affordable Care Act, or the ACA, requires employers with 50 or more full-time employees to offer health plans with “minimum essential coverage,” including access to federally approved contraception for women, without copayments or deductibles. Under federal religious freedom laws, religious nonprofits can seek “accommodations” to be exempted from the contraceptive mandate by submitting a form or notification certifying the organization’s objection to paying for contraception coverage on religious grounds. Doing so transfers the administrative obligations of providing contraception coverage from the employer to the insurance company or a third-party, which takes over handling the claims. But the religious nonprofits say that certifying their opposition by filling out a form does not adequately protect their religious freedom, because it still triggers a process through which their female employees can obtain contraception. In the brief filed by Paxton’s office, state attorneys wrote that the “supposed ‘accommodation’” will still "coerce employers to proceed with a course of action despite a belief in its religious impermissibility." In its ruling, the panel of the appellate court sided with the federal government in its argument that the universities’ religious exemption from providing contraception coverage did not extend to third parties left to administer insurance plans if a religious organization is exempted. 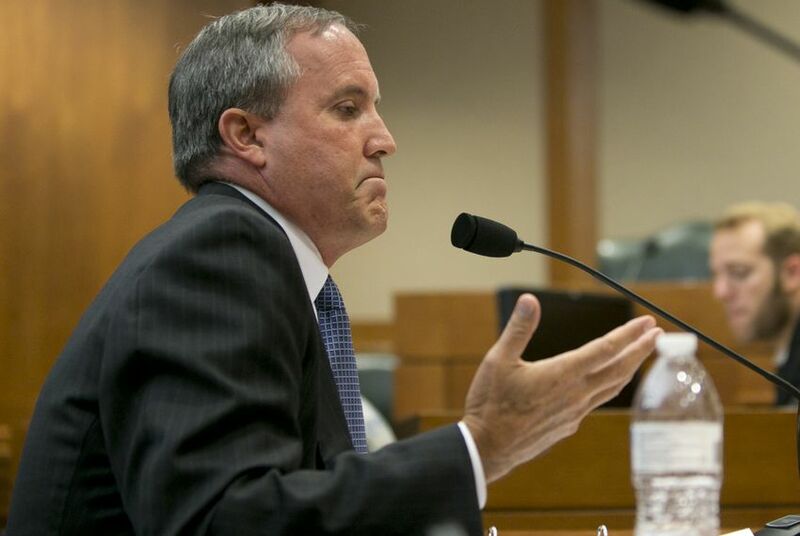 East Texas Baptist University and the Houston Baptist University are now hoping that the U.S. Supreme Court will take up their lawsuit, and Paxton’s brief is meant to support their case. Paxton and lawyers for the religious nonprofits contend that the 5th Circuit’s ruling contradicts precedent set by the Supreme Court last year in a separate case involving Hobby Lobby. Considering the constitutionality of the ACA’s contraception requirements, the Supreme Court ruled on a 5-4 decision that a part of the ACA requiring businesses to provide insurance coverage for certain forms of contraception violates a federal law protecting religious freedom. The court held that a family-owned, for-profit corporation was exempted from providing access to free contraception if the business’ owners have religious objections. Because courts have held that no substantial burden exists, the high court should resolve the issue, the attorneys added.